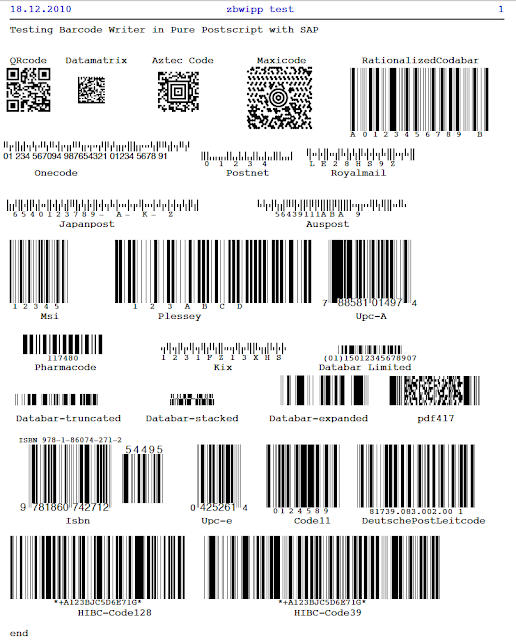 I had blogged about 26 barcodes on one page with scripts based around Redmon, Microsoft services for Unix and Ghostscript. Here is the screenshot of the config required. In the example above the barcode.ps file is in directory C:\Program Files\PDFCreator\GS9.00\gs9.00\Bin, but can be placed in any directory with the search path set correctly. The PDFCreator has a few more config options that I like such as the auto save shown below. CutePDF can do the same thing here which allows the ABAP report to produce the following output.